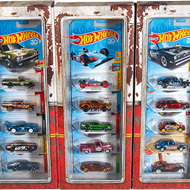 The 2017 boxed set features all 15 Super Treasure Hunts. Each set is individually numbered and limited to 1,200. 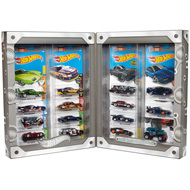 Vehicles are individually packaged and displayed in a silver fold-open window box. 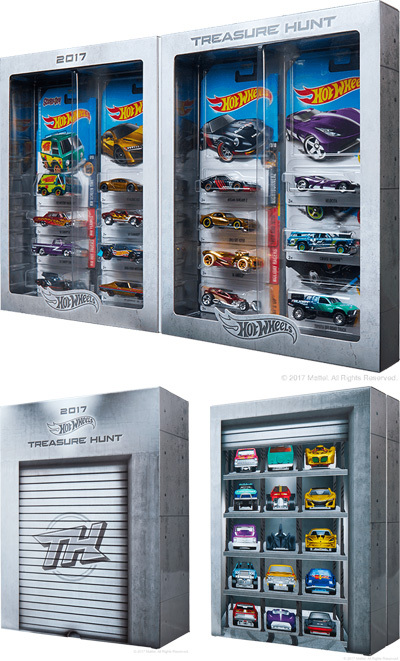 The box is stored in slip case decorated with parking garage graphics, “TH”, “Treasure Hunt”, and the Hot Wheels logo.